The Colony Facebook page will be hosting a Facebook live event on season 3 premiere day, May 2nd. Join Sarah Wayne Callies and Josh Holloway for the live event at 9pm ET/6 pm PT. Sarah shared the announcement on her Facebook page with the hashtag #stayhuman. Those pesky RAPs (random alien people) always seem to be nipping at their heels! What are your other plans for Colony season 3 premiere night? Let us know if you are planning a viewing party or special snacks for the big day. Maybe we should roast some marshmallows since it looks like the Bowmans are in the woods at the beginning of season 3! For those in proximity to Los Angeles, hope you scored a seat at the Colony premiere viewing party at Legendary Television in Burbank. The invitation notes that RSVPs are now closed. We will be watching for photos! It’s almost here! Colonists unite for an exciting start to season 3. And don’t miss the Facebook live with Sarah and Josh! Colony season 3 – Let’s do this! It is almost time for Colony to return to USA Network for season 3. Yes, it was tough waiting for a premiere date, especially after we had become accustomed to the season beginning in January. But it’s coming on May 2nd! The footage from the trailer has me very intrigued about seeing the story play out, at least in part, outside the confines of a city. The Bowmans are in the woods! And if you watch closely, you will see Snyder with them donning his best lumberjack gear. Enemies, allies, friends—outside of the bloc, everything changes. #Colony returns May 2 on @USA_Network. Will’s hair is shorter. Oh my gosh, how will we cope without the hair flips? I’m just hoping he still needs to toss his bangs out of his eyes now and then. Snyder’s hair is a tad longer though and he’s sporting a beard. Is it hard to see Snyder without the sleek suit and perfectly groomed hair? I kind of wonder if he keeps a table set up inside a tent with a chalice and full place setting even though they are “roughing it”! You can take the Snyder out of the city, but can you take the city out of Snyder? I have a feeling we will get some great “fish out of water” moments. Here is Part 1. You can find more on the Nerdist website. I never tire of the smack talk between Tory Kittles and Peter Jacobson. In fact, I’d like to think I have facilitated (or is it instigated?) that banter historically! Speaking of #TeamSnyder and #TeamBroussard, be sure to check out Wendy’s shirt designs at ColonyIvasion.com. You’ll never guess which one I chose! Okay, maybe you will. With all my fan love for Broussard, the show would never be complete without Snyder. I need my Snyder too! And how about Wayne Brady joining the cast? Check out Melissa’s article on So Many Shows for highlights from Wayne and more. Thanks #WassupWendy @wendydelmonte Love my #TeamBroussard shirt 👊🏽#PickASide #DefeatTheHosts Come to the other side Snyder!! Sarah Wayne Callies makes her directorial debut this season. And it looks like her character gets an up close look at a fallen alien aircraft. 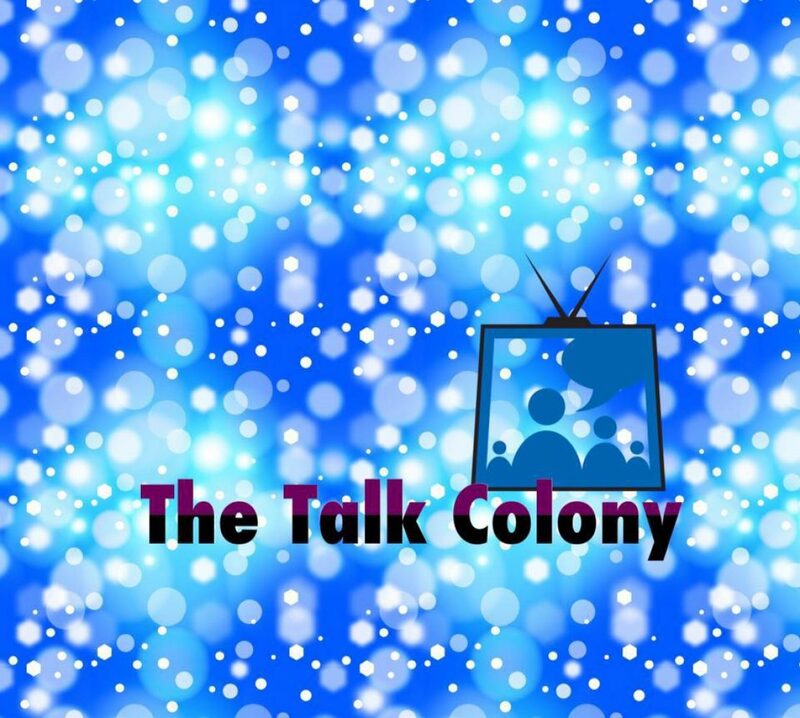 Get ready for more Talk Colony Podcast! Jay and I will be back to break down each episode and bring you lots of fun coverage for Colony! Be sure to let us know what you are most excited about for the new season! And, remember RAPs are (random alien) people, too! I look forward to enjoying the new season with you all! Talk Colony Awards – Here is your ballot! Welcome to the first annual Talk Colony Awards (TCAs)! Tracey and Jay will be announcing the TCA winners on the next Talk Colony Podcast. This is your chance to identify the characters and/or actors that most influenced Colony season 2 across a variety of categories. There are 14 different categories so make sure you select your choice and press the “Vote” button for EACH different category. The very last category allows you to write-in your own choice. All results will be hidden from view and announced on the Talk Colony Podcast. Our last poll gives you the option to either select one of the choices given or add your own answer. Think about who you most enjoyed interacting with and/or hearing from on social media (Twitter/Facebook/Instagram). What was your favorite storyline this week? Let us know! Talk Colony Podcast will be recording tonight and we want your input! Sarah Wayne Callies will be doing a Facebook Live event at 9:30 p.m. EST before an all new episode of Colony this evening 2/2. Hope to see you all there with some great questions for Sarah!